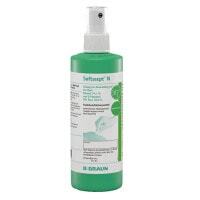 Skin disinfectants provide effective germ reduction on the treated area, i.e., prior to drawing blood from a patient or prior to a vaccine injection. From Praxisdienst, you can purchase the proper antiseptic for professional skin disinfection in the surgery, operating theatre and hospital. 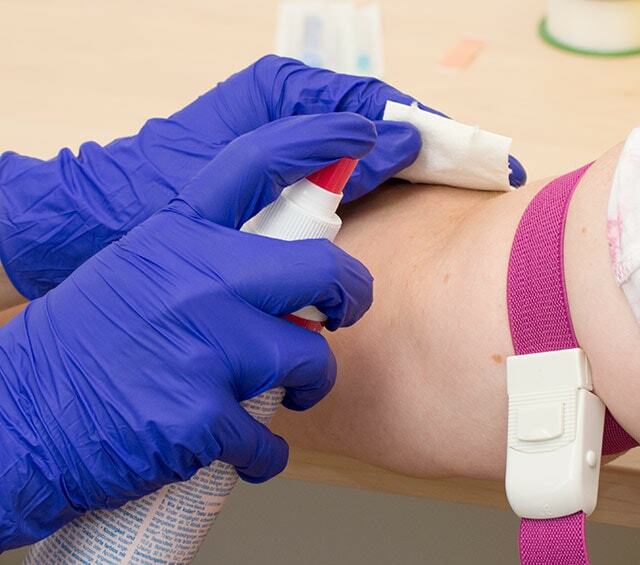 Skin disinfection is carried out with an appropriate antiseptic to counteract the possibility of germ transmission from injections, punctures or surgical procedures. The application of skin antiseptic reduces or eliminates transient and resident skin flora. For this purpose, a special disinfectant is used that is either applied to the patient as a spray or by hand with sterile antiseptic swabs. In order to achieve a sufficient absence of germs and prevent infection, it is important to be aware of exactly how much time the disinfectant needs for the treatment to take effect. Likewise, it is important to keep the treated area moist while the disinfectant works. 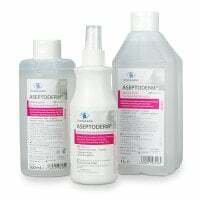 While skin disinfectants like isopropyl alcohol are typically colourless, there are also coloured antiseptics like iodine that are used to simultaneously disinfect the skin and mark the surgical field prior to performing an operation on a patient or inserting a catheter. Another common antiseptic used for skin is chlorhexidine. 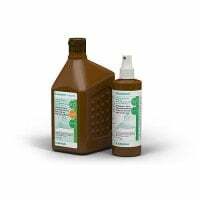 Chlorhexidine also finds use in wound cleansing and in mouth wash as part of an effective irrigation solution for rinsing out the oral cavity. 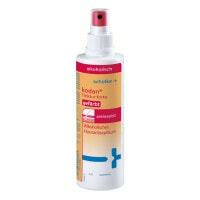 Most skin disinfectants are alcohol based, yet do not contain relipidising or nourishing substances. This is also not necessary since surgical disinfection is typically not carried out very often. In addition to antiseptic spray, there are also alcohol swabs, which are also often used as hand sanitisers or for disinfecting hard surfaces. 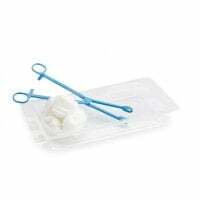 In this category, Praxisdienst offers you a wide assortment of products for various uses within the general practice, hospital or operating theatre. Whether it is for a pre-operative or pre-vaccination disinfection, you are certain to find the proper antiseptic for every need! In our online shop, you will find a variety of popular and powerful antiseptic preparations from many name brands. 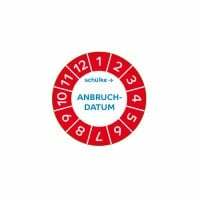 Among our most popular antiseptic solutions is Octenisept from Schülke & Mayr. 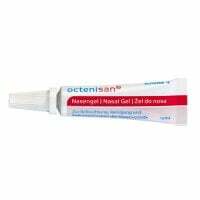 Octenisept is an antiseptic solution that contains octenidine and phenoxyethanol. It is also worth noting that this solution does not contain phenol nor iodine. 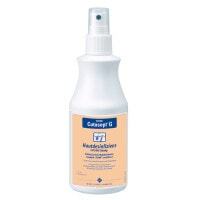 In addition to its use in skin preparation, the Octenisept antiseptic is also great as a wound disinfectant. The colourless liquid antiseptic agent is delivered in various bottle sizes from 50 ml to 1,000 ml with or without a spray pump for easy painless application. The antibacterial formula of Octenisept also improves wound healing. 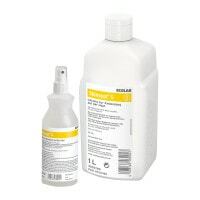 Kodan Tincture forte is another bactericidal disinfectant from Schülke & Mayr, which is an antiseptic that is available as a coloured and colourless liquid and which takes effect within only 15 seconds. 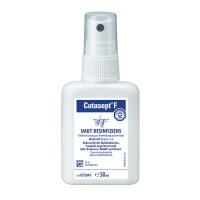 Another popular antiseptic is Cutasept F from Bode. 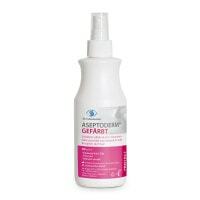 The Cutasept F liquid antiseptic agent is likewise available in bottle sizes from 50 ml to 5,000 ml with or without a spray pump. Similar to Octenisept, Cutasept F is a fungicidal and tuberculocidal antiseptic that is also effective against some viruses like HBV, HIV, HCV and rotavirus as well as bacteria like MRSA (staphylococcus). 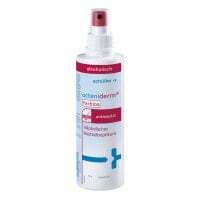 Octenisept and Cutasept products are only two examples of the wide variety of disinfectant agents for skin antisepsis available in our shop. If you are having difficulty finding your preferred disinfectant, you can narrow down the selection using our filter function. Here, you can select the price range, manufacturer or brand of your choice (e.g. 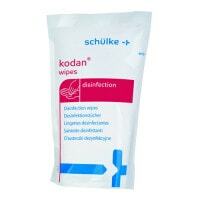 Bode, B.Braun or Hartmann) to find the exact disinfectant you are looking for. Of course, you are always welcome to contact us and we will be happy to aid you in finding the right solution and can sometimes provide you with additional product details. 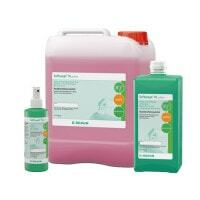 It is not always easy to know which disinfectant is right for which purpose. 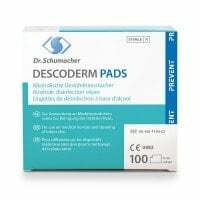 While there are some simple antibacterial wipes or tissues that are suitable for personal use as a skin cleanser or as an added measure of hygiene, using the wrong disinfectant for the wrong purpose may cause unwanted side effects. This is why it is always important to read the product description and label prior to use. 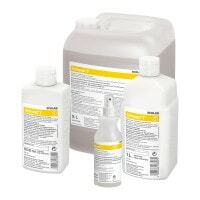 If the disinfectant requires dilution, it is vital to understand which reduction factor should be considered and how much exposure time is necessary to achieve the desired effect. 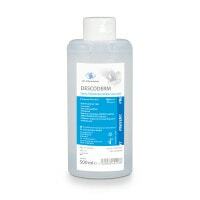 Whether you are simply cleaning a patient's skin before running a diagnostic test or if you are trying to prevent a surgical-site infection, you are certain to find the disinfectant that is best suited for your needs from our online shop. Our products are available in various packaging types so that you can spray them or pour them into dispensers. 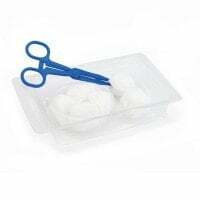 We also offer you bandages for covering puncture and burn wounds. Buy everything you need for the right price from the Praxisdienst medical shop.